For a design studio, case studies are key to showcasing our work and landing new business. But with staff constantly moving from one project to the next, there was rarely time to write them. 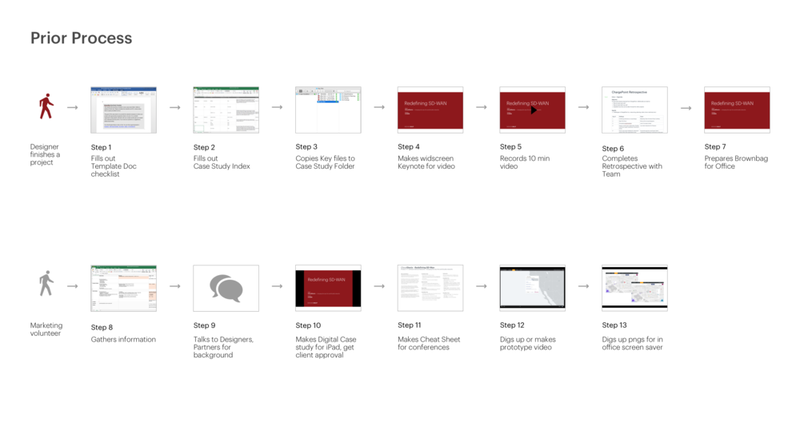 A streamlined, templated process for documenting project outcomes that is painless for designers to complete while insights are still fresh on their minds. "How can I make this easier for the next person?"